I heard a quote from someone yesterday, “My mom jokes about having a medical degree just from being a mom.” I am beginning to feel exactly the same way. Besides all the medical mess and drama that has happened before now, just since January we have been to the Urgent Care or doctor’s office 7 times (just the kids!). Emerson hit it on the TV stand when she was climbing to sit into our reclining chair. 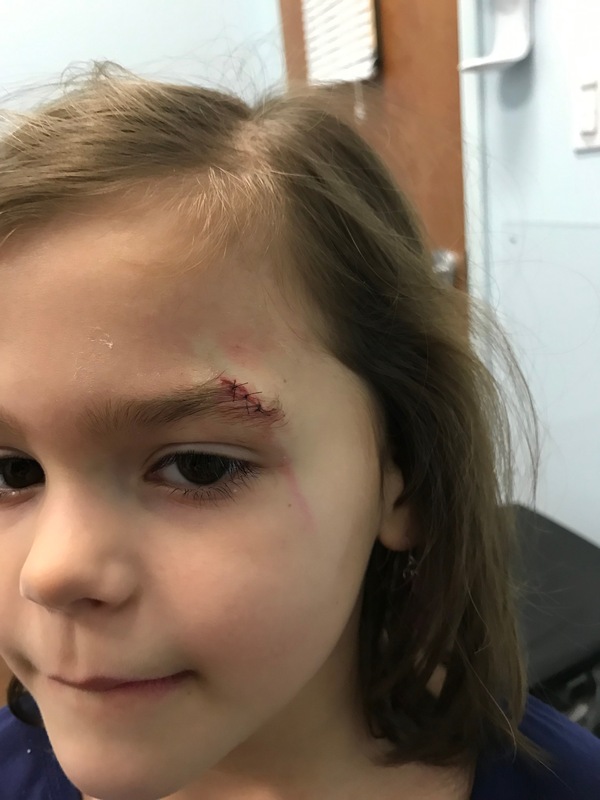 It required 3 stitches and two of those doctor appointments. Emerson has been having jaw pain that we weren’t sure was an ear infection or jaw issues but turned out to be her 6-year-old wisdom teeth coming down that haven’t even broken through yet. That was 2 visits. Blake had a well appointment, which was drama free. And then this week, all 4 of our kids have come down with the flu. It has spread like wildfire through our house even with Lysol and washing hands and keeping kids away from each other. The doctors thought it may be a stomach bug because they were vomiting, but because I knew we have had flu with vomiting before, and I knew that how lethargic they were pointed to the flu, I insisted they do a flu test. It was positive for Type A. I also insisted against their advice that they give Tamiflu, even thought they say it doesn’t really help. It has ALWAYS helped my kids get over it quicker in the past, so I made a point to insist that we wanted it. Now Ed and I are also on Tamiflu as a preventive measure. Ugh. We have Disney in 4 days so we HAVE to get better. It is interesting, when the kids start with some kind of something, I am becoming pretty good at diagnosing them. Or I ask another mom or my mom and then we can diagnose. Here is to hoping we all recover quickly and no more doctor visits are required!! 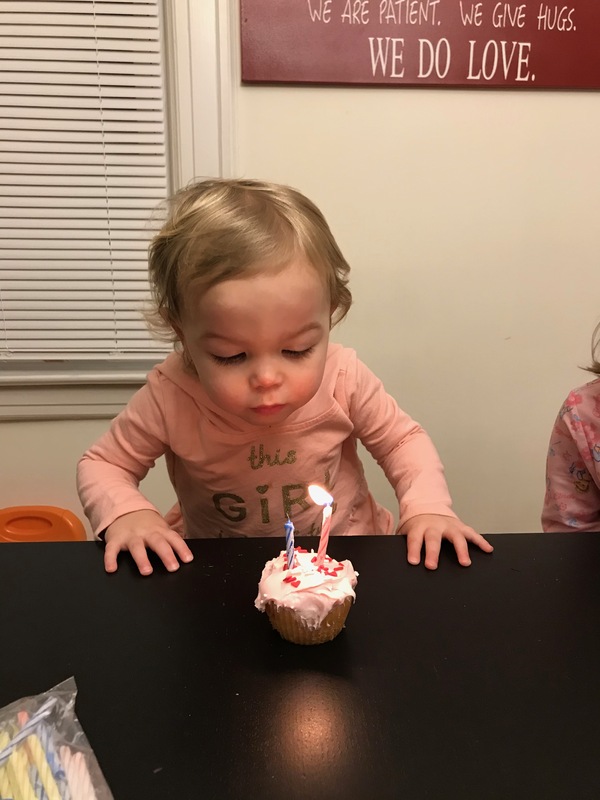 To counteract the bad, we had something very fun happen in our house this past week – Brynn turned 2!! Our little true New Yorker who is sassy, full of fun, independent but still loves to snuggle, smart, adventure-loving girl turned the big 2! 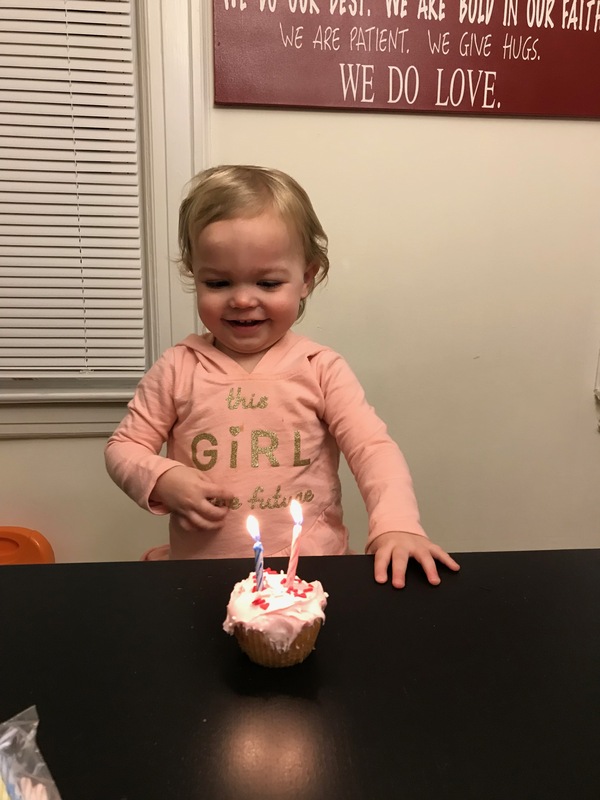 We let her pick out her cupcake flavor and icing, and because she LOVES Jack-Jack from the Incredibles, we watched the Incredibles as a family to celebrate. 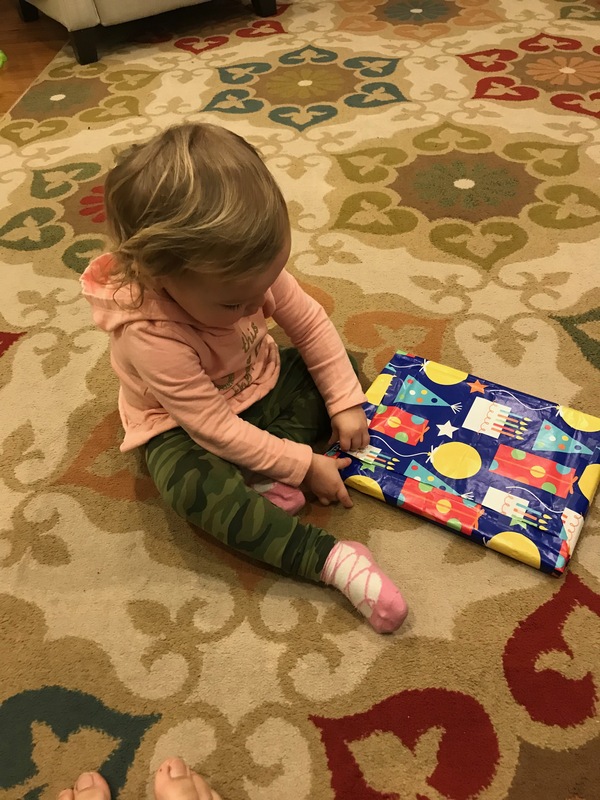 She had a blast opening her presents and even today, she got another one (thanks Aunt Barbara and Uncle Larry) – one of the best things about her turning 2 is she has no idea that presents are late, early, or any of that! 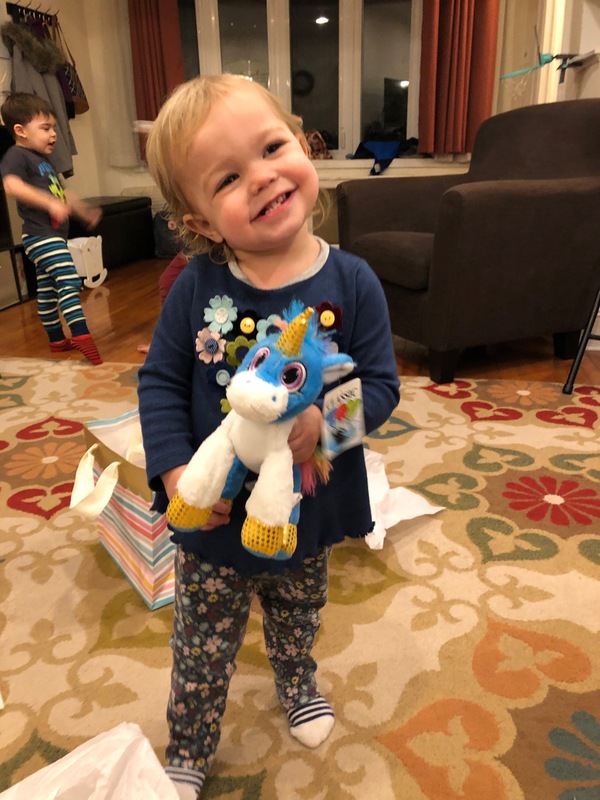 Here is her blowing out her candles, opening her presents (including a pretty soft unicorn from our good friends here), and just being cute. 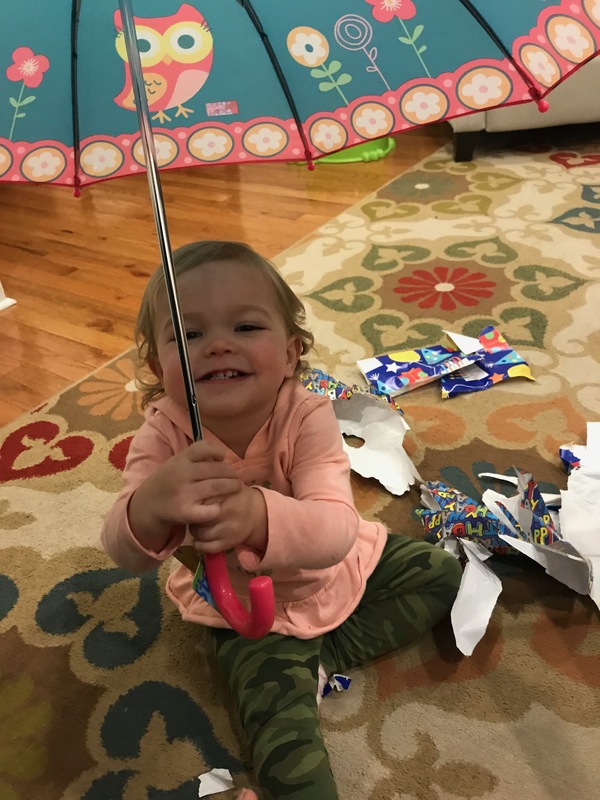 In some ways, it is so hard to believe our youngest is now 2, but in other ways, it is hard to remember what life was like without her. 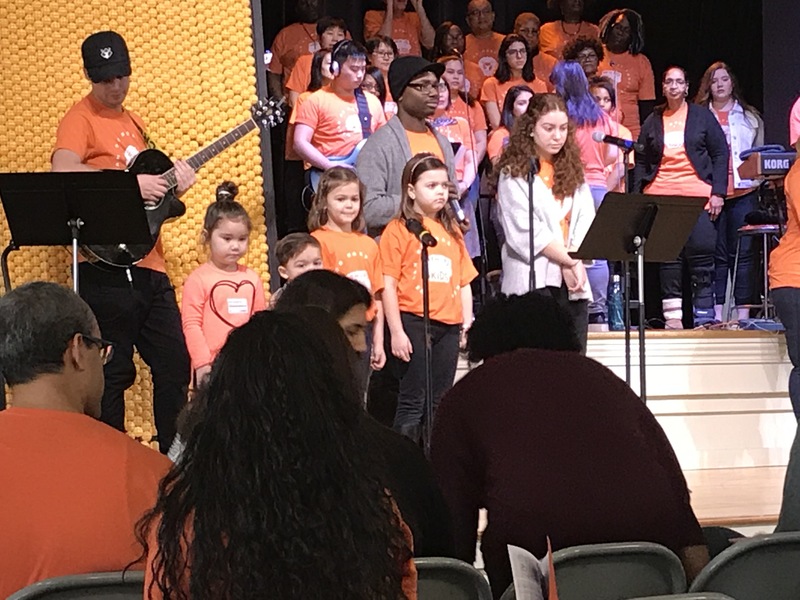 We also got to participate in “Orange Sunday” at our church – a whole Sunday dedicated to sharing about why our church invests so much into our next generation. 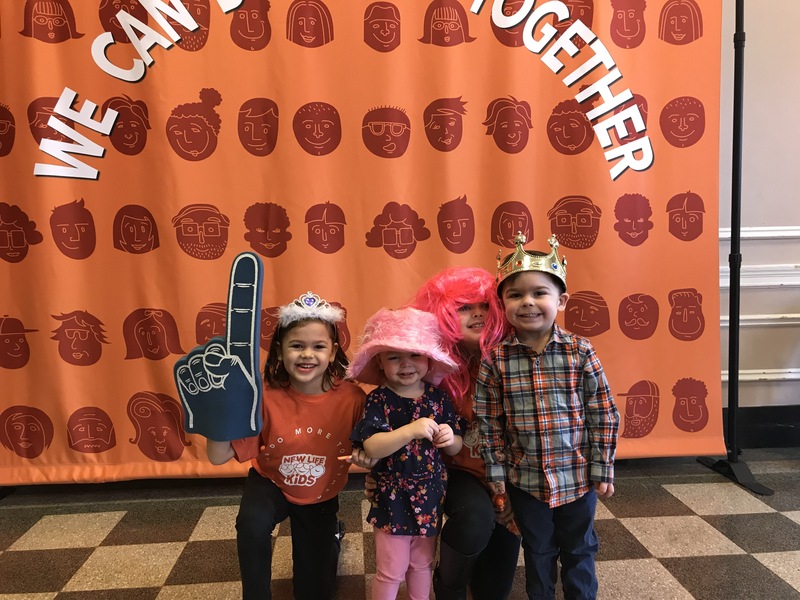 Blake and the girls go to sing on stage and they loved getting to dress up for the photo booth afterwards. And who am I kidding? The doughnut wall and snack stations were probably their all-time favorites. We are so thankful for our church, our kids’ small group leaders, and how our kids are being raised to love church and learning about Jesus. So thankful for how they partner with us as parents and pour into the next generation!